We all aim to be lean, healthy and feel good about the way we look. Due to our varied lifestyle habits and time limitations, it is essential that we are efficient in our effort to care for our bodies. As soon as we wake up in the morning we have always been encouraged by our parents to have breakfast. However, when we become parents we forget to prioritise breakfast, because the children come first. Also (as adults) we are free to consume whatever we choose to eat, which may not be nutritionally beneficial. Some of us may skip breakfast altogether and settle for a cup of tea/coffee. Why Should We Have Breakfast? Our bodies are regenerating whilst we sleep and use up nutrients in the process. We do well to remember that our body is the most complex machine that exists and requires food for fuel. Our metabolic processes such as burning and storing fat are related to our dietary habits. When we wake up we need a source of fuel to help our body mechanisms to start burning fat. If we skip breakfast our bodies actually learn to store fat. What’s The Best Food For Me? Depending on your plans for the day, your eating habits need to be relevant to what you do. If you plan to be active then you may require a richer breakfast with more sugar sources such as dried/fresh fruits with muesli. This helps to guarantee you have a sufficient amount of calories to suit your requirements (energy required quickly and in abundance). 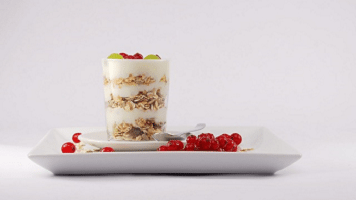 Someone with a desk job and/or long drive to work may require oats or foods with a lower glycaemic index as these turn to sugar slower and release energy over a longer period of time. How Long Should I Wait Before I Eat? As soon as possible! Once awake we should eat so that our bodies have fuel for the day. For example, if we spend an hour getting ready prior to eating we use up important energy reserves. If this is done on a regular basis our bodies learn to store energy or possibly fat more. The simple truth is that it’s when we eat and re-fuel regularly our bodies will learn not to store fat. What If I Feel Sleepy Afterwards? This usually means that too much has been consumed. If an individual is not used to having breakfast, he/she may feel bloated so it’s best to start off with very small portions until you get used to your new healthy regime. When we wake up we need a source of fuel to help our body mechanisms to start burning fat. Healthier, leaner individuals eat little and often. Breakfast is key to getting our machinery functional and our processors learning to burn fat instead of storing it. We will have more energy to fulfill our duties in our daily lives by thinking carefully about how our bodies start the day. Here at Clear Medical we hope everyone will make the best decisions for their bodies, and that this will lead to a happier and healthier life.